The Concord Advisory Group's founding Partners, Scott Santin and Christopher Cahill, met while working at a broker-dealer, where they witnessed the inherent conflict of interest between the company's profit goals and their client's investment returns. Their vision: to provide non-conflicted research on financial products and advice on structuring investment programs for maximum returns. They chose to focus on mid-sized institutions because they needed the most help. Concord opened its doors to a keen, receptive audience and over the years has cultivated a dedicated, like-minded team of experts. Our Mission is to empower clients with objective research and forward-looking advice. Our consultants keep client investment programs on course by being proactive rather than reactive. Concord has distinguished itself from competitors in its commitment to superior client service, expertise in advising operating organizations with multiple pools of financial assets, and a singular focus on acting as an extension of client internal staff. Concord uses a comprehensive approach to designing client investment programs, one that considers the financial position of the organization. Concord’s open door policy creates a strategic partnership with our clients. Within this relationship Concord’s interests are solely aligned with those of our clients. Concord accepts no compensation from financial institutions. The only product we sell is non-conflicted professional advice. No one can serve two masters and do it well, so we receive fees from only one source-our clients. 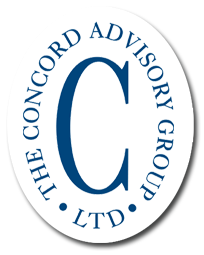 Concord's services focus on the key determinants of investment success which are: Governance, Strategy and Execution.